← Book Number 2 is Go……!! 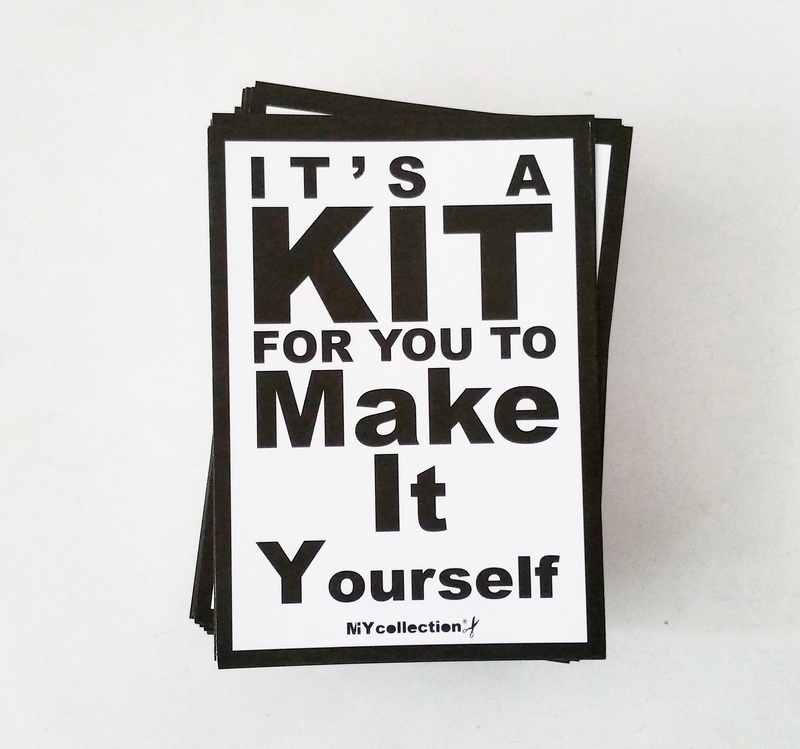 Well overdue, I finally launched 2 new MIY Collection patterns at last week’s Knitting & Stitching show and they’re now also available online from the MIY Collection Pattern Shop. 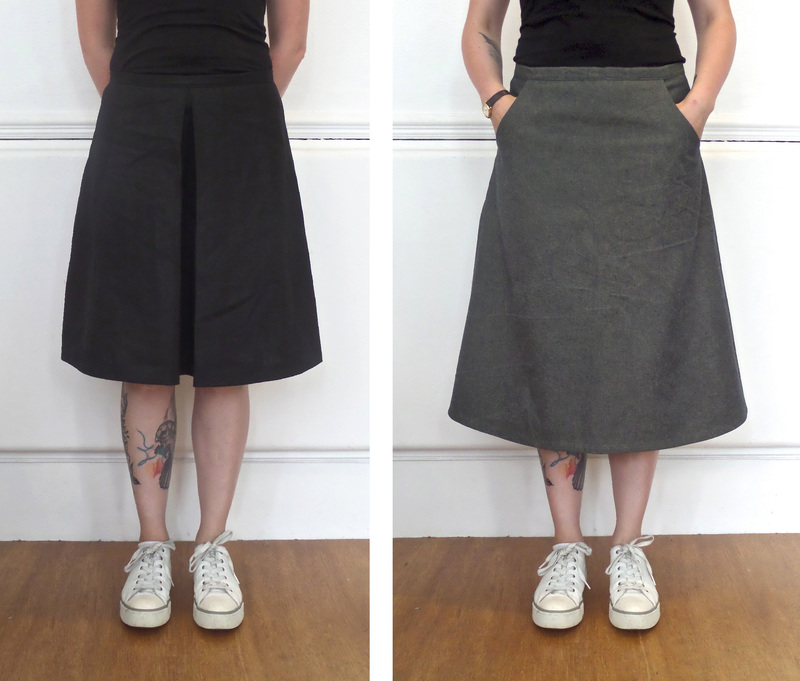 The first is the Kelham, the ultimate A-line skirt pattern. 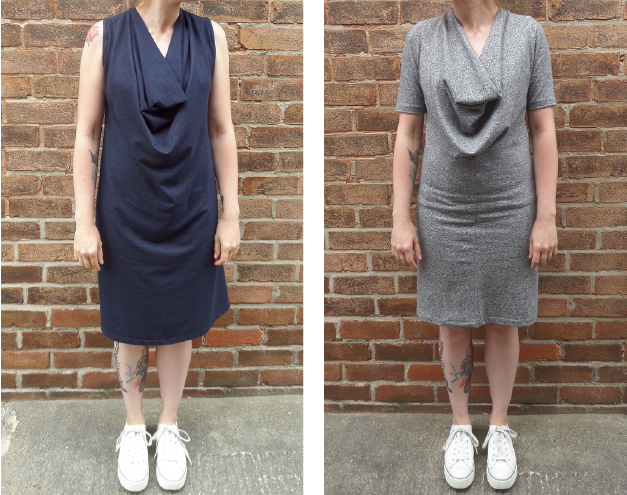 3 style variations (completely plain, with pockets or with a CF pleat). There’s so much you can do with an a-line skirt pattern and it will look great in a range of fabrics from cotton poplin, linen, denim, corduroy or lightweight wool. 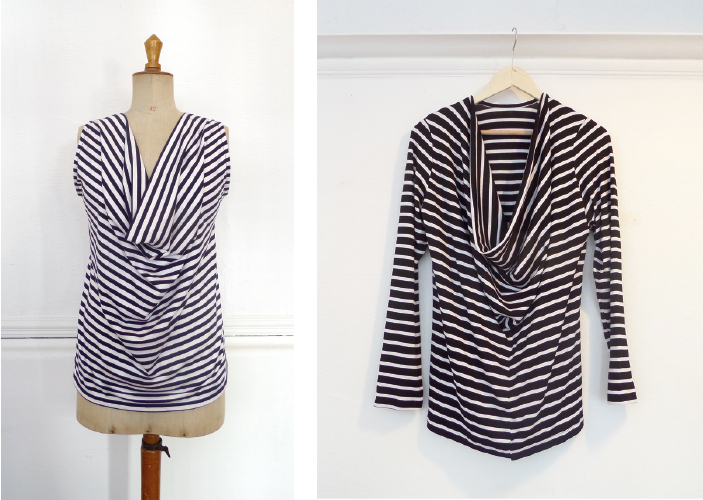 The second pattern is the Wisewood cowl neck dress and top. I love a draped cowl neck, they’re so flattering and easy to wear and this pattern went down a storm at the Knitting & Stitching show. This one is a pattern for stretch knits and works in a wide variety; a viscose jersey will give you a beautifully draped lightweight version – great for tops, a good quality ponte roma (try and find one with viscose rather than polyester) will result in a dramatic sculptural effect in a gorgeous cosy dress. They will be available online just as soon as I’ve photographed them! This entry was posted in MIY Collection Patterns, Sewing Patterns by Wendy and tagged Brightside shrug, cosy cowl, dressmaking kits, easy sewing patterns, fulwood dress, kelham a-line skirt, MIY collection, miy collection kits, miykelham, miywisewood, modern sewing patterns, sewing patterns, Sewing With Knits, ultimate a-line skirt pattern, walkley vest dress, Wendy Ward, wisewood cowl neck, wisewood dress. Bookmark the permalink.